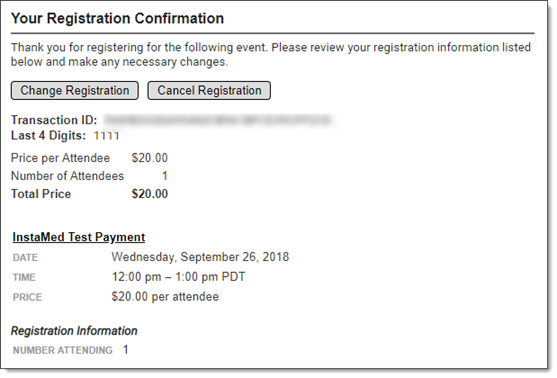 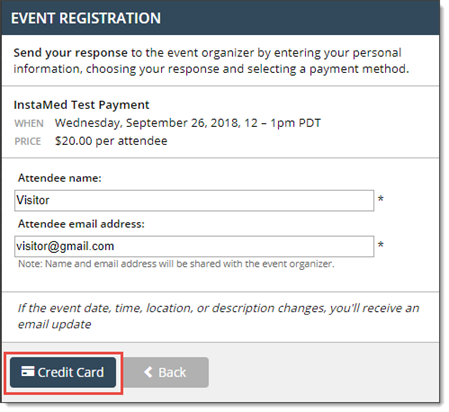 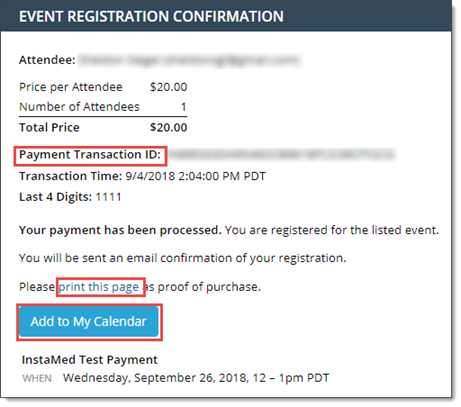 This topic describes the process that visitors complete to register for your paid events if you set up a payment gateway through InstaMed. 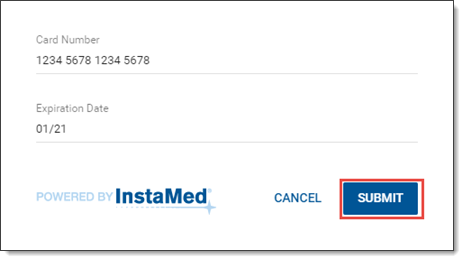 Enters the name on their credit card and Postal Code, and then clicks Continue. 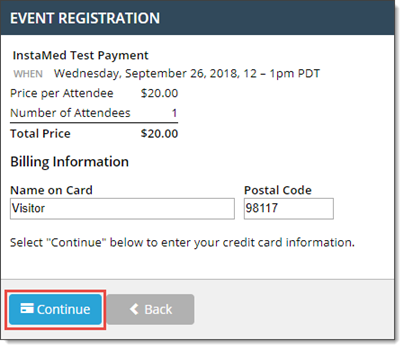 Enters their credit card number, and then clicks SUBMIT.